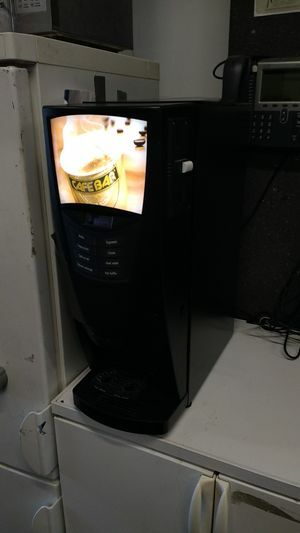 A donated machine coffee coffee machine. Requires special coffee, milkpowder and cacao. Is connected to the water mains. This page was last edited on 22 April 2018, at 17:39.